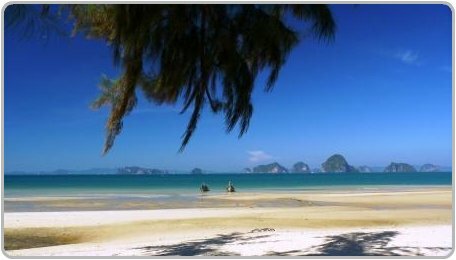 Tubkaak Beach is one of the most tranquil destinations in Krabi. From the beach you can take in the most stunning views across to the Hong Islands. Tubkaak is possibly one of the most picturesque and secluded beaches in Krabi, located just to the north of Klong Muang Beach, and a 25 minute drive from Ao Nang. There is a couple of boutique hotels and quality upmarket luxury resorts located along the beachfront. 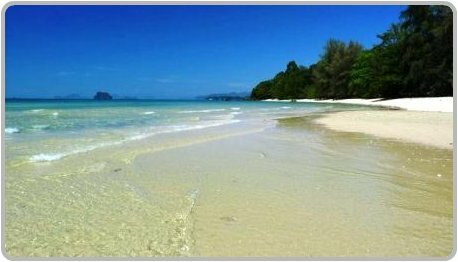 Use the search box above to find a resort along this beautiful stretch of beach for your next holiday in Krabi. The beach itself is quiet shallow even when the tide is high, at low tide it is a great area for spotting crabs, starfish and other sea creatures crawling across the sand. For those who are adventurous the beach at Tubkaak sits at the base of the Kao Hang Nak Natural Forest, where you will find walking trails and a view point at the top. 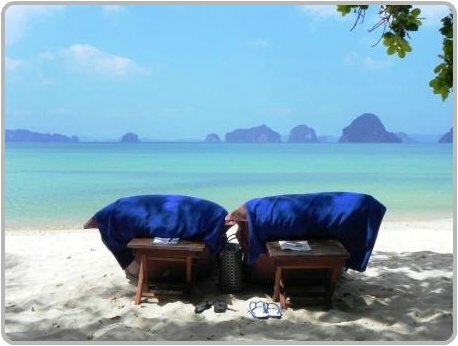 Tubkaak is an ideal destination for romantic getaways, or for a quiet escape in a gorgeous location away from the crowds of Ao Nang and Railay beaches. 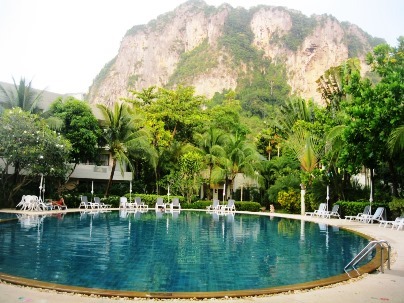 If your idea of a holiday in Krabi involves lots of action, shopping and nightlife, you won’t find it at Tubkaak. There is a good selection of restaurants within the grounds of the resorts that are located along the beachfront. Apart from these restaurants there is not much else to offer outside the resort complexes, unless you go to Klong Muang. 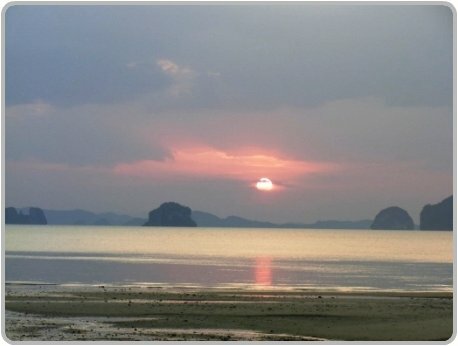 If your planning to stay at one of the resorts or hotels on the beachfront at Tubkaak, it may be wise to consider hiring a car or a motorbike to get around to see the sights and attractions in other areas of Krabi. Read what other travelers have to say about the hotels and resorts at Tubkaak on TripAdvisor.